TWO DAYS OF HANDS-ON LEARNING, EQUIPPING YOU WITH THE SKILLS TO GROW FOOD IN YOUR OWN HOME. We’re partnering with Fat Pig Farm to bring you two days of hands-on Real Skills for Growing Food. Join us to learn the foundations in growing your own food at home – skills that you’ll have for the rest of your life. Soil: If you want to grow good food, you’re going to need to know about soil – this is the key to nutritious food production. We’ll introduce you to the soil food web and explore a range of soil preparation methods for different contexts. Compost: Learn about a range of compost techniques and help build a big compost pile. Propagation: Empower yourself to grow food from scratch – we’ll look at everything from making your own seed raising mix, planting seeds, and growing plants from cuttings. Vegetable growing: We’ll introduce you to growing both annual and perennial vegetables so you can create diverse, edible gardens. WHO SHOULD COME TO THIS WORKSHOP? We’ve designed this workshop as an introduction for folks wanting to get started in growing their own food and for people looking for some extra guidance in refining their growing skills. If you’re looking for an advanced food growing workshop, this one isn’t for you – but stay tuned as we have big plans for a rather fantastic workshop on this. Skills and knowledge useful for the rest of your life! “The attention to detail was great – this makes everything run smoothly and comfortably. And the gifts were amazing! Not only did I have a wonderful weekend, I came away with so much stuff! Thank you”. Fat Pig Farm will spoil you with food to fill your belly, warm your hearts and inspire you to grow your own. Think hearty soups filled with fresh veggies from the garden, Fat Pig ham on bread straight from their wood fired oven, plus cakes and scones inspired by summer’s preserves. All students plus their friends and family are invited to join us, Gourmet Farmer, Matthew Evans and Sadie Chrestman for a yarn and a cider over slow roasted farm grown goodness. Matthew and Sadie will fire up their wood fired oven and roast garden veggies and farm-grown meat. This is what we call a super special treat – not to be missed! Please note, dinner is an optional extra to the daily workshops and costs an additional $80 per person. This is a wonderful chance to bring your family and friends along to soak up the hands-on learning vibes and enjoy the weekend with you. *And yes, we can easily cater for people with different dietary needs. Fat Pig Farm is nestled in Glaziers Bay, 10 minutes from Cygnet and is home to Sadie Chrestman and Gourmet Farmer, Matthew Evans. As a working farm, they run a market garden, mixed fruit and nut orchards, chickens, bees, some milking cows and raise pigs. They also have a delightful restaurant, open for weekly lunches and occasional cooking workshops. You’ll be provided with clear directions on how to get there prior to the course. Anton Vikstrom has well over a decade of hands-on experience in working with urban agriculture. 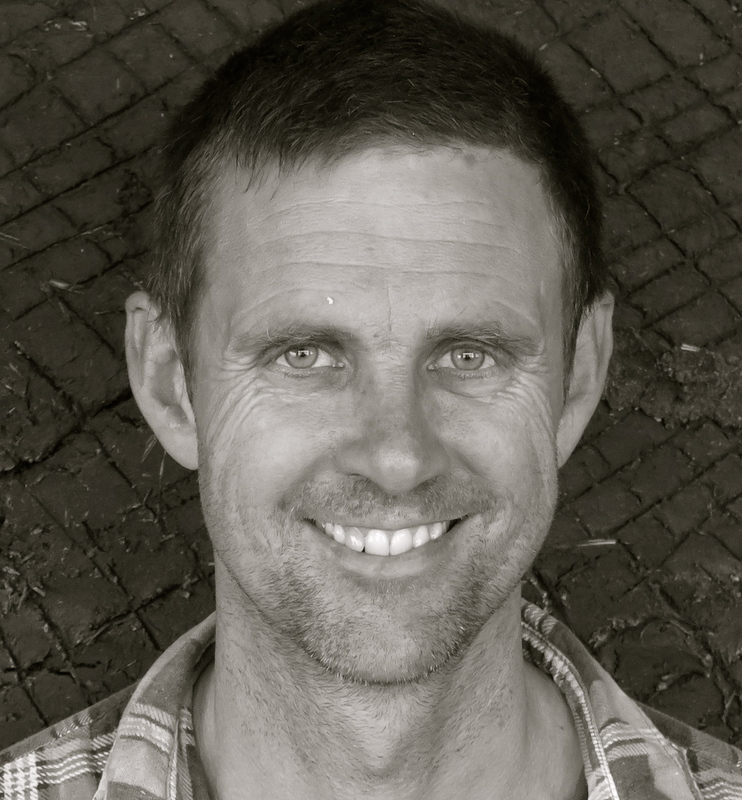 His work includes establishing his homestead in South Hobart (which is shaping up to be an example of urban permaculture at its finest) and designing people’s properties. He is deeply committed to regenerating landscapes, building community, having a good life and supporting others to do the same. 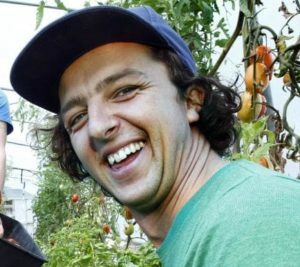 James DaCosta is head farmer at the Hobart City Farm. Originally from NW Tasmania, he was reared on the rich red soils of that region where he grew large and strong like a Kennebec (potato). He is a gardener, bee keeper, and permaculture designer. A natural teacher, James has a knack for inspiring and equipping people with the skills they need to get growing! 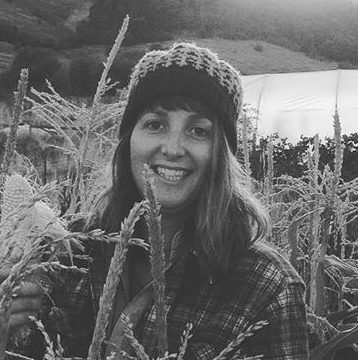 Nadia Danti is the head market gardener at Fat Pig Farm. She brings years of market gardening experience and has travelled the world working with some of the best growers out there to learn the skills she needed. Nadia is passionate about soil health and understanding the ecosystem under our feet, as well as supporting people to connect to their local food system and empowering them to grow some of their own food in whatever sized space they have! Firstly, thank you for a thoroughly enjoyable and educational course. As experienced growers, we were impressed that you covered so many areas so that inexperienced and experienced growers could walk away with something of value. It was a really positive feeling to walk away with a book, seedlings, trays, seeds, cuttings etc – was most generous and will be a great ongoing reminder of where we started (dead or not ;-)). Thank you so much everyone. You are great bunch! For folks travelling from afar – there are a wealth of local options for you to choose from, CLICK HERE to see a huge range of options put together by our friends at the Cygnet Folk Festival. There is no refund available for this course. If you’re unable to make it we encourage you to pass your place onto friends or family – alternatively you’re welcome to put it towards one of our future courses.